Malta Marittima together with the University of Malta will be launching the Maritime Seed Award (MarSA) with the support of the University’s Knowledge Transfer Office (KTO), TAKEOFF Business Incubator and Centre for Entrepreneurship and Business Incubation (CEBI). The call for applications will open on the 5th September 2018. Funding amounting to €100,000 will be allocated through a competitive call to innovators and entrepreneurs interested in bringing their ideas closer to commercialisation. Two types of funding is being offered namely, Proof of Concept funds for University of Malta researchers and academics working on University innovations, and Seed Funds which target entrepreneurs pushing their venture closer to securing a first customer or investment. Startups and researchers are invited to apply for up to €20,000 in funding with the application deadline closing on Monday 22nd October 2018. Successful applicants will receive their funding in January 2019. If you are planning to submit an application, please note that it is mandatory for the applicant or a team member to register for and attend the relevant information workshop. All potential seed applicants must attend the scheduled workshop session hosted by TAKEOFF, which will provide skills and tools for creating a competitive proposal. The final application form will only be accepted if applicants or their representatives register and attend the TAKEOFF workshop. This will only be waived in extenuating circumstances. All proof of concept beneficiaries must attend the workshop being organised by the Knowledge Transfer Office. If unable to attend, the potential applicant must set up another meeting directly with the Knowledge Transfer Office. Are you a budding entrepreneur with a new technology or innovative business idea but lack the initial funding to bring it closer to market? Or a University of Malta academic interested in taking early stage technology from lab to life? The pilot of this programme was launched in March 2017 and saw four beneficiaries receive funding. The programme is being re-launched on the 5th of September 2017. Award funding totaling to €32,500 will help to bridge the initial gap between the idea and its market development, and provides support to researchers and entrepreneurs when they need it most to increase the likelihood of success. Grants between €2,500 and €20,000 will be awarded to the selected projects. The workshop will provide interested applicants with the skills and tools for creating a competitive proposal. Drop into Level 3, Dar Guzeppi Zahra every Friday for funding support. Funding Fridays is an initiative of the Knowledge Transfer Office and the Project Support Office offering the academics dedicated support services in relation to European and national research funds in order to increase application and success rate. For the 4th year running, TAKEOFF Seed Fund Award funding of €100,000 through the TAKEOFF Seed Fund Award will be allocated to help bridge the initial gap between the idea and its market development, and provide support to researchers and entrepreneurs when they need it most to increase the likelihood of success. The Ministry for The Economy, Investment and Small Business (MEIB) and the University of Malta have launched the 2017 edition of TOSFA, with the support of the University’s Knowledge Transfer Office (KTO), TAKEOFF Business Incubator, and Centre for Entrepreneurship and Business Incubation (CEBI). The programme aims to help move promising ideas forward toward commercialization and ultimately, creation of high-growth businesses in Malta. TAKEOFF will be holding a workshop which will provide the skills and tools for creating a competitive proposal. The Malta Marittima Agency (MMA), in collaboration with the University of Malta, launched the Maritime Seed Award (MarSA) with the support of the University’s Knowledge Transfer Office (KTO), TAKEOFF Business Incubator and Centre for Entrepreneurship and Business Incubation (CEBI). The programme aims to help move promising ideas from the Maritime Field forward toward commercialization and ultimately, creation of high-growth businesses in Malta. Award funding of €100,000 will help to bridge the initial gap between the idea and its market development, and provides support to researchers and entrepreneurs when they need it most to increase the likelihood of success. Ms. Lili Vasileva and Dr. Elena Sultana, representing the Maltese NCP for H2020, shall be our guests during our next Funding Fridays info event in order to deliver a presentation and discuss whether your ideas could match some of the future calls of H2020. You will also have the opportunity to propose topics to include in the next Work Programme to the NCP, who will lobby to the EC together with our fellow Member states. This is an excellent opportunity to propose topics which are in line with your research and it will also offer a networking platform between fellow researchers of different backgrounds within the UM! Join the Knowledge Transfer Office and MCST team for an information and Q&A Session regarding the FUSION National Funding Programme for Research and Innovation focusing on the Commercialisation Voucher Programme. The deadline for programme applications is the 6th February 2017. The information session will include a short presentation and a Q&A session with members from the R&I Unit who will be available to discuss the particulars of participant ideas, eligibility of the ideas for national funding, etc. The agenda for the event can be found below. The session is to be held on Friday the 20th January 2017 from 10:00am in the Events Room, Floor 2, Dar Guzeppi Zahra, TAKEOFF Business Incubator, University of Malta. Target Audience: University academics, Post Docs, PhD students, research support officers and support staff actively carrying out research in the Medical Sciences. Setting the scene - why make money from research outcomes? PRIMA is a partnership between most countries in the North and South of the Med and a few other EU members states, and will act as an umbrella Research and Innovation Programme for in the Med. It is run by a General Assembly with representatives of all participating countries. PRIMA will support exclusively "innovative solutions for food systems and water resources in the Med", and will be a H2020 type programme, with calls issued periodically on specific themes within these areas. 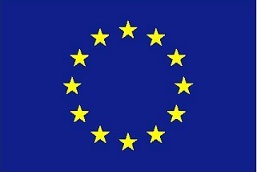 The difference from H2020 is that National Governments participating in PRIMA will put their own National funds into the programme, and these will be supplemented by the EU to the tune of 40-50%. More information can be found here. 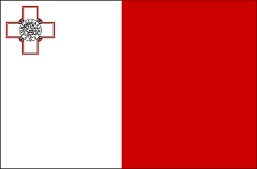 Malta will be committing €500,000/year for 10 years, which would be supplemented by up to €250,000/year by the EU. These funds will be reserved exclusively for Maltese partners participating within successful project consortia. So there are a substantial amount of funds that would be made available. PRIMA is one of the pillars of the 2017 Malta Presidency and if all goes well, will be launched in about a year's time. Where: Events Room (301), Level 2, TAKEOFF Business Incubator, University of Malta, Msida Campus. Click here for a map. Target Audience: University staff and students actively working in the sector, Industrial representatives in the sector. RSVP: Click here to RSVP. If you would like to suggest any topics of interest please email us. Engaging seminar series on Intellectual Property and Knowledge Transfer organised by the University of Malta in collaboration with the Malta Chamber of Commerce, Enterprise, and Industry & Isis Innovation, the technology transfer company of the University of Oxford. Target Audience: Attendees are usually a mix of techies, designers, business development and marketing experts, students but also people representing professions not necessarily connected with the startup world like lawyers, office clerks, doctors, etc. with an interest in ICT. A repeat session was held in Gozo. Where: Le Meridien, St Julians. Presentation will be available on request. Where: Cavalieri Hotel, St Julians. Where: Cavalieri Hotel, St Julian's. Target Audience: Open to the Public. Practicing Engineers, Architects, Operations Managers, Entrepreneurs.